Trump hailed Roger Stone for standing up to Mueller. Some legal experts said that's tampering. The president spoke out after his former associate said that he would never testify against him. President Donald Trump on Monday praised former longtime associate Roger Stone for promising never to testify against him and having the "guts" to stand up to special counsel Robert Mueller — prompting some legal experts to suggest that could be witness tampering. 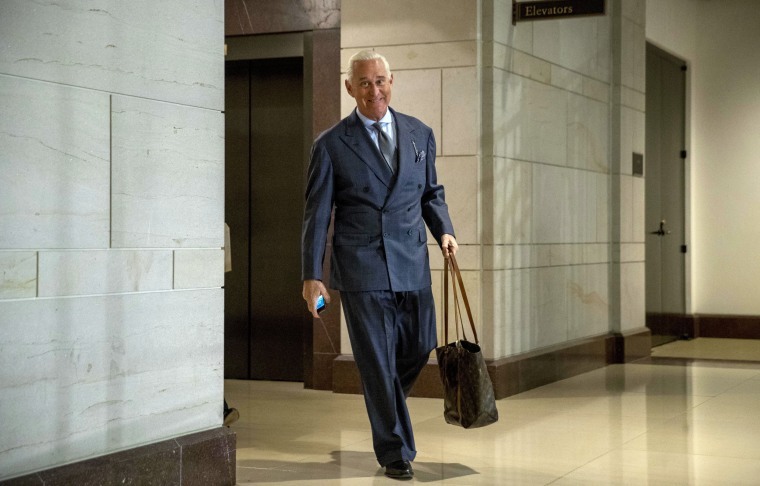 Stone, who finds himself under Mueller's microscope for his possible contacts with WikiLeaks during the 2016 presidential campaign, told ABC's "This Week" on Sunday that there was "no circumstance in which" he would testify against Trump. Trump's tweet about Stone touched off a debate in legal circles, with several experts, including attorney George Conway, the husband of White House counselor Kellyanne Conway and often a strident critic of the president, taking issue with the president's comment. Conway tweeted: "File under 18 U.S.C. §§ 1503, 1512" — sections of U.S. code dealing with witness tampering and obstruction of justice. Neal Katyal, acting solicitor general under President Barack Obama, tweeted Conway was "right." "This is genuinely looking like witness tampering," Katyal wrote. "DOJ (at least with a nonfake AG) prosecutes cases like these all the time. The fact it's done out in the open is no defense. Trump is genuinely melting down, and no good lawyer can represent him under these" circumstances. Sen. Mark Warner of Virginia, ranking Democrat on the Senate Select Committee on Intelligence, said Trump's comments were a "serious" issue. "The President of the United States should not be using his platform to influence potential witnesses in a federal investigation involving his campaign," Warner wrote on Twitter. But others weren't so sure. Ken White, a criminal defense attorney, told NBC News that he didn't think it was a clear-cut case, though the tweet was "the kind of thing that prosecutors would look at carefully." White pointed out that to make a case against Trump, "you'd have to prove that he had 'corrupt intent' (meaning an illegitimate aim like intimidating Stone into silence) and intended to get Stone to keep answering a particular way." "It would be an incredibly difficult case, as Trump would say that Stone is already telling the truth and Trump is merely praising him for that," White added in an email. "But it's very norm-violating. And it drives prosecutors crazy." Other legal experts echoed White. "Yes, Trump is a walking, breathing, tweeting violation of 18 USC 1512 obstruction," tweeted Jed Shugerman, a Fordham University law professor. "But: Taking this tweet *on its own*, how can it be felony witness tampering to publicly agree with a witness account even if you know he's lying? Too broad an application." 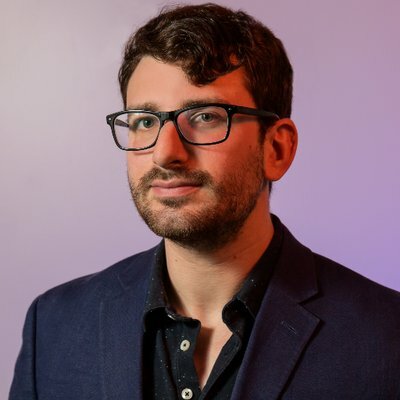 And Renato Mariotti, a former federal prosecutor, also tweeted that it would be difficult for a prosecutor to charge Trump with a crime based on solely the tweet. Conway, Katyal "and other highly respected attorneys quickly noted that Trump’s tweet looks a lot like witness tampering," Mariotti wrote. "They're right — it does. But proving beyond a reasonable doubt that it’s witness tampering is more challenging than it might seem at first glance."